THIS CARD IS FROM 2018-19 CROWN ROYALE JERSEYS. THIS CARD IS FROM 2016-17 LIMITED LIMITED LEGENDS JERSEY AUTOGRAPHS. THIS CARD IS FROM 2018-19 CROWN ROYALE JERSEYS. CARD REFERENCE NUMBER IS J-DW. THIS CARD IS FROM 2018-19 CROWN ROYALE JERSEYS. CARD REFERENCE NUMBER IS J-FN. AUTOGRAPH/RELIC CARD No234 069/199. PANINI GOLD STANDARD BASKETBALL 2015-16. JORDAN MICKEY. AUTOGRAPH CARD No224 064/199. PANINI GOLD STANDARD BASKETBALL 2015-16. ANTHONY BROWN. AUTOGRAPH CARD No29 34/49. PANINI GOLD STANDARD BASKETBALL 2015-16. RICHARD HAMILTON. AUTOGRAPH/RELIC CARD No17 11/25. SPENCER DINWIDDIE. PANINI SELECT BASKETBALL 2014-15. 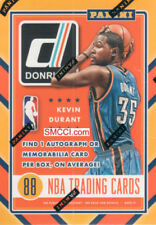 NBA BASKETBALL TRADING CARDS . THIS CARD IS FROM2016-17 PANINI SPECTRA SPECTACULAR SWATCHES GOLD ( PART OF A IN ALDRIDGE POSSIBLY). I HAVE OTHER CARDS FROM THIS SET LISTED. CARD IS SERIAL NUMBERED 09 / 10. SOLOMON HILL. PANINI ABSOLUTE BASKETBALL 2015-16. AUTOGRAPH/JERSEY CARD FR-SH 62/99. QUINCY ACY. PANINI SPECTRA BASKETBALL 2014-15. AUTOGRAPH/JERSEY CARD SS-QA 103/149. 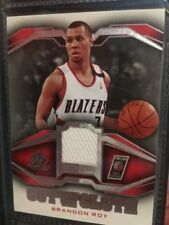 THIS CARD IS FROM2014-15 TOTALLY CERTIFIED CLEAR CLOTH JERSEYS RED. BUY 10-19 LOTS AND GET 15%. OVER 20 LOTS GET 20%. BUY 5 -9 LOTS AND GET 10%. RYAN ANDERSON. PANINI NATIONAL TREASURES BASKETBALL 2014-15. AUTOGRAPH/RELIC CARD SM-RA 21/50. THIS CARD IS FROM 2017-18 PANINI NATIONAL TREASURES CENTURY MATERIALS. CARD IS SERIAL NUMBERED 96 / 99. THIS CARD IS FROM 2018-19 CROWN ROYALE JERSEYS. CARD REFERENCE NUMBER IS J-RM. PANINI SPECTRA BASKETBALL 2014-15. AUTOGRAPH/JERSEY CARD SS-MT 078/149. Player - Justin Anderson. Player: Justin Anderson. Series: Totally Certified. Player Justin Anderson. Series Totally Certified. Cards will arrive within a soft sleeves and toploaders. Breaking cases of every new set across all major sports as well as many non-sport and even more obscure releases. 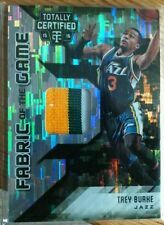 THIS CARD IS FROM 2017-18 COURT KINGS ART NOUVEAU JERSEYS. Player Bill Laimbeer. Card Manufacturer Panini. Card Attributes Autograph.